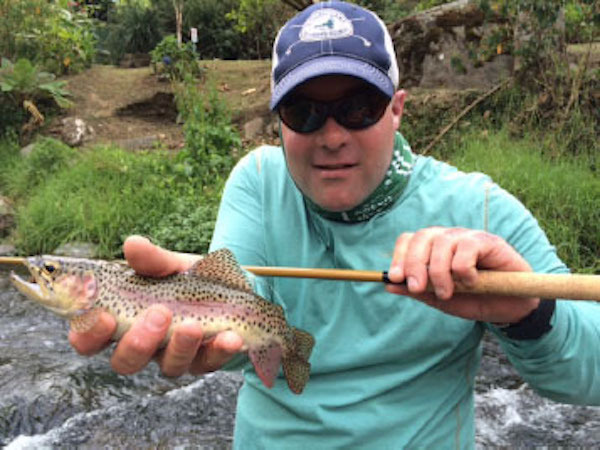 Join Chris Leonard and Luong Tam for a full day on Saturday and a half day on Sunday of guided Tenkara fly fishing in the Wild Trout Section of the Lower Owens River this winter 2019. Chris & Luong will offer two clinics this winter: January 19/20 and again on February 16/17. We will focus on developing a strong set of Tenkara specific fly fishing skills while targeting trout on the Lower Owens River. You will walk away with a better understanding of Tenkara fly fishing and fishing the Lower O. Cost of the clinic is $350 per weekend per angler. Luong and Chris have offered this clinic in the past. It was very successful. Class size is limited to six total per weekend. The student-to-teacher ratio is 3 to 1. We will meet at the footbridge in the PVR campground on Saturday @ 8AM. We will be on the water until 4PM on Saturday. Sunday, we will meet again at @ 8AM. We will be on the water until 1PM on Sunday. Cost per person is $350. Included is guided instruction, use of equipment if needed, flies and consumables, lunch Saturday only (tell Chris dietary restrictions if any), and gratuity. Bring waders and a wading staff! You will need them. Rent a pair if you don’t own any. What’s not included? Everything else. Attendees of the clinic will be required to sign a liability release form. Signs up are a first-come, first served basis. Mail a non-refundable check payable to Chris Leonard to PO Box 1568, Mammoth Lakes, CA 93546, and call Chris @ 818.288.3271! Please specify which weekend you would like to attend: January 19/20 or February 16/17. Contact Chris for any questions regarding this fantastic weekend on the water @ 818.288.3271.